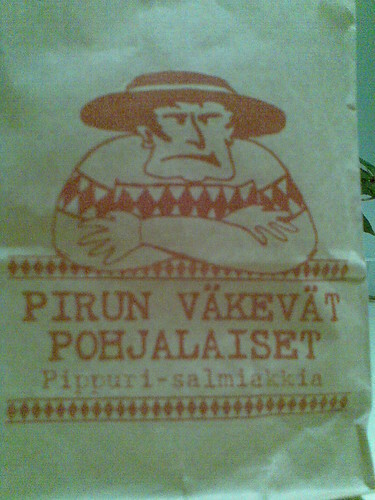 Pohjalainen, originally uploaded by tomik. Nyt se tiedetÃ¤Ã¤n tÃ¤Ã¤llÃ¤ HÃ¤meessÃ¤kin – jo. This entry was posted by Tomi on sunnuntai, 05.10.2008 at 21:45, and is filed under tosimies.not. Follow any responses to this post through RSS 2.0.Both comments and pings are currently closed.